Prima Olive combines their olive oil and vinegar store with a fresh, made-from-scratch cafe. 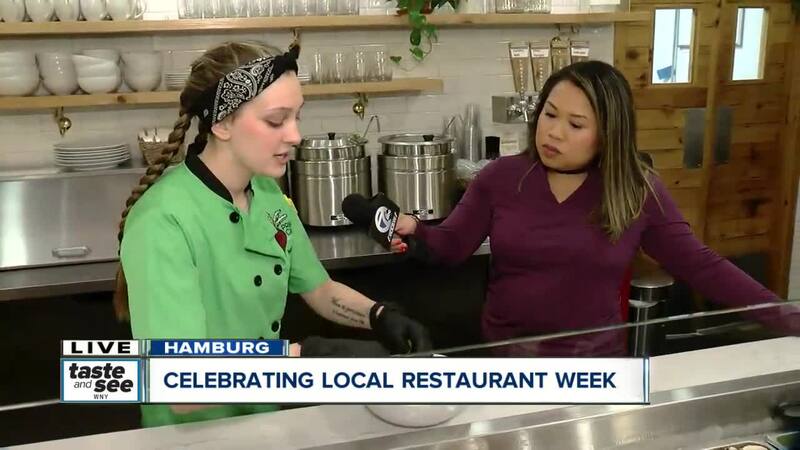 HAMBURG, N.Y. (WKBW) — Prima Oliva in Hamburg combines an extensive olive oil, spice and vinegar shop with a fresh made-from-scratch cafe filled with bright colors and delicious food. Prime Cafe and Prima Oliva work together as a unique space for shopping and snacking in Hamburg's Main Street corridor. One half sells flavored balsamic vinegars straight from Italy, ranging from flavors like cranberry pear white balsamic to fig balsamic and olive oils flavored with things like Persian lime or Herbs de Provence. You can also buy organic spices and teas. The other half of the space is a brightly-lit, open cafe serving good-for-you cold pressed juices, warm grain bowls, breakfast, acai bowls, smoothies, salads and house-made rotisserie chicken. The colorful and wholesome food uses items from the retail store: the chicken uses the store's organic poultry spice, the salads are dressed with flavorful balsamic and olive oil combinations. 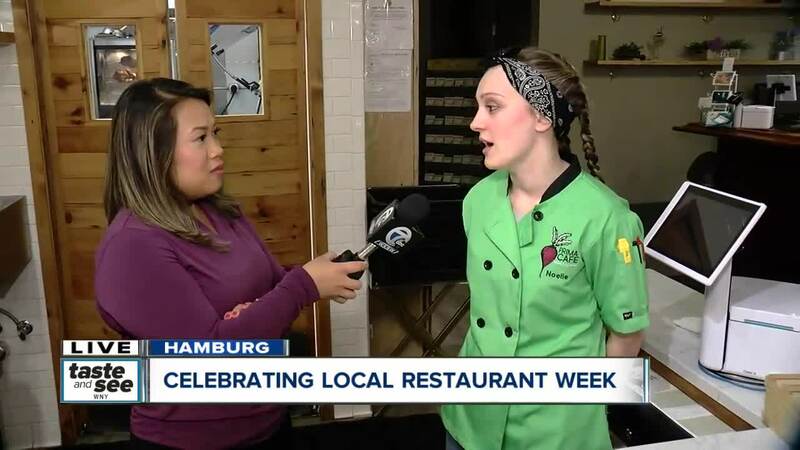 "We just want people to realize Hamburg is a gem if you haven't been here lately. It's walkable, it's beautiful and has so much to offer," says owner Liz Sgroi. 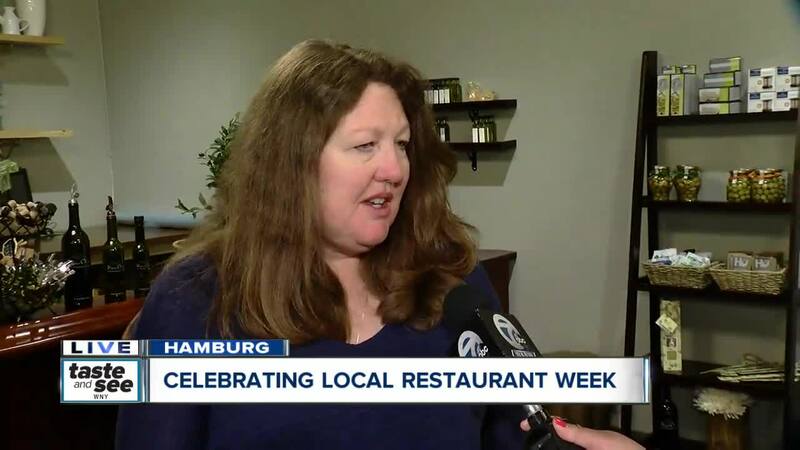 She hopes northtowners will venture down to try places they haven't been before during Local Restaurant Week. It runs until April 7th. Prima Cafe is offering a breakfast for two deal for $20.19 or a lunch and dinner deal with a choice of veggie lasagna or rotisserie chicken. To learn more, click here . There is also a retail-only location in East Aurora.